Quentin Tarantino is clearly used to getting his way, which is fine if you’re at the top of Harvey Weinstein’s nice list like he is. Tarantino’s very public meltdown over the leak of his script The Hateful Eight —and his subsequent lawsuit against Gawker—showed that he is not a man to be crossed. Now, in positively Tarantino-esque fashion, he’s getting his revenge against the bastards who leaked his script, and he’s doing it through that most badass of mediums: live theater. Tarantino, whom LACMA also describes as “an equally potent force of nature,” will appear to read stage directions and other cues. 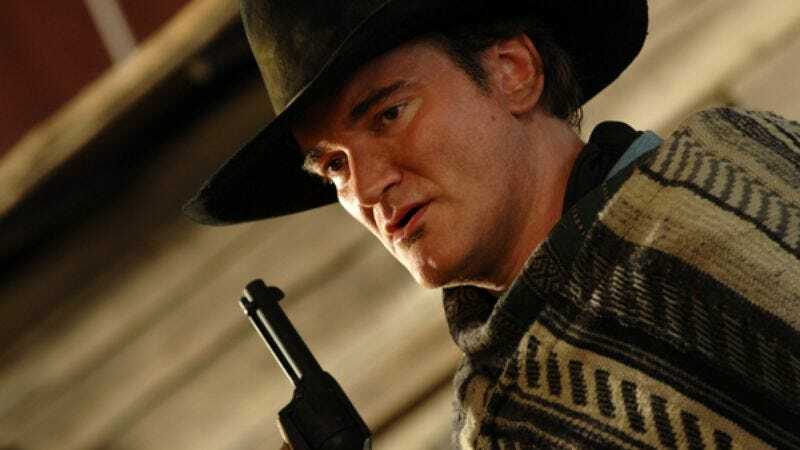 The cast will be handpicked by Tarantino, and could provide insight into who might have been cast if The Hateful Eight had gone forward as planned. Considering what happened the last time they were allowed to read the script, probably don’t expect Michael Madsen or Bruce Dern to be among them.